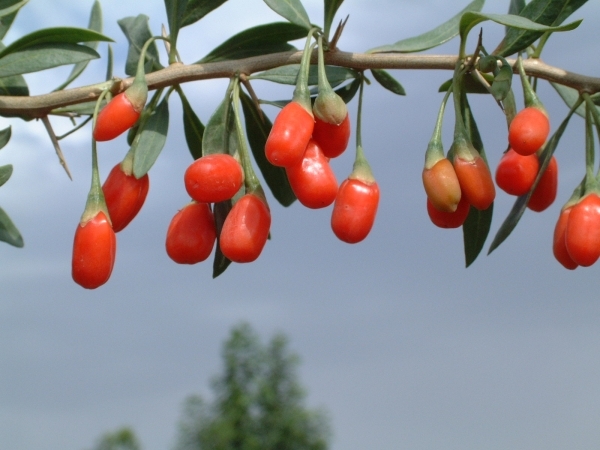 The Goji Berry is native to the Himalayas and inner Mongolia where it has been used for thousands of years as food and for its health benefiting properties. The fruit are very high in antioxidants and vitamin C. They have a sweet and juicy taste comparable to cranberries or plums. 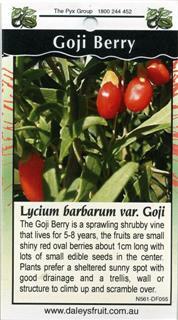 The Goji Berry is a sprawling shrubby vine that lives for 5-8 years. 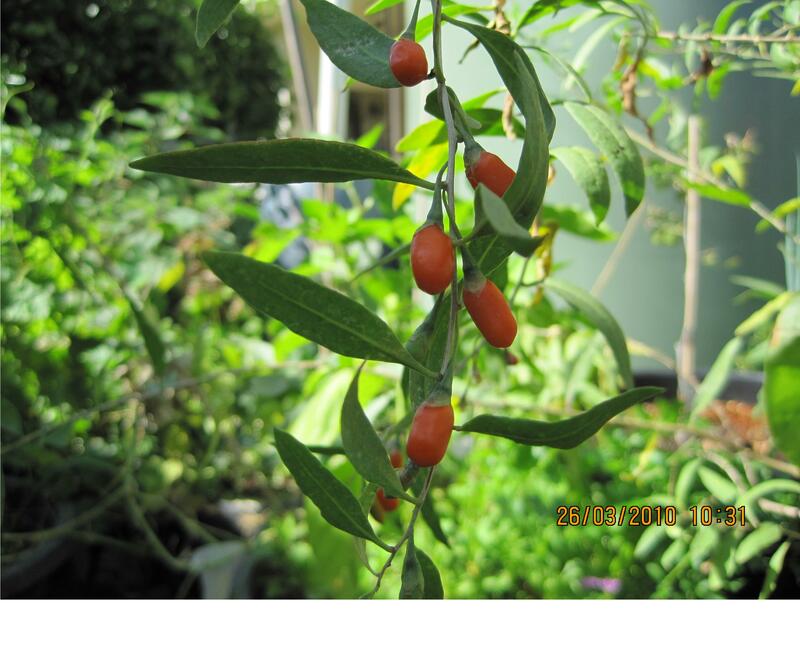 The fruits are small and shiny red with oval berries about 1cm long with lots of small edible seeds in the center. 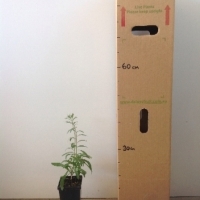 Plants prefer a sheltered sunny spot with good drainage and respond well to pruning after fruiting which can help keep its sprawling habit under control. 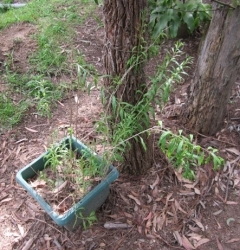 Lycium barbarum grows into a shrub 2.5m shrub. 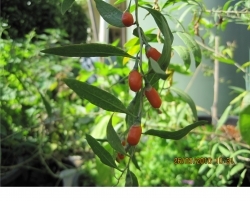 Like dried Chinese dates, dried goji berry is another herb we use often in cooking nourishing soups. Consuming these berries is said to help improve eye sight. 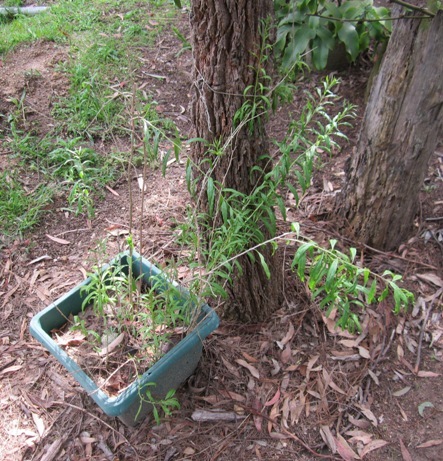 The plant looked rather weak and straggly, and went dormant in Winter which got me a little worry. But as soon as Spring arrived the tree grew new leaves and doubled the height. I want to train the tree to a single trunk so I cut all the side shoots. 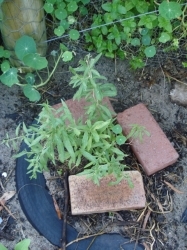 Planted in a bigger pot in April 2010. Very fragile branches - snap easily. Leaves can be knocked off easily too. Needs a trellis. They are a bit of a straggly thing but I do like the dried berries so I am willing to tolerate it. Deciduous but looks really really really sad when it's losing its leaves. Looks like it's sick but it's not! 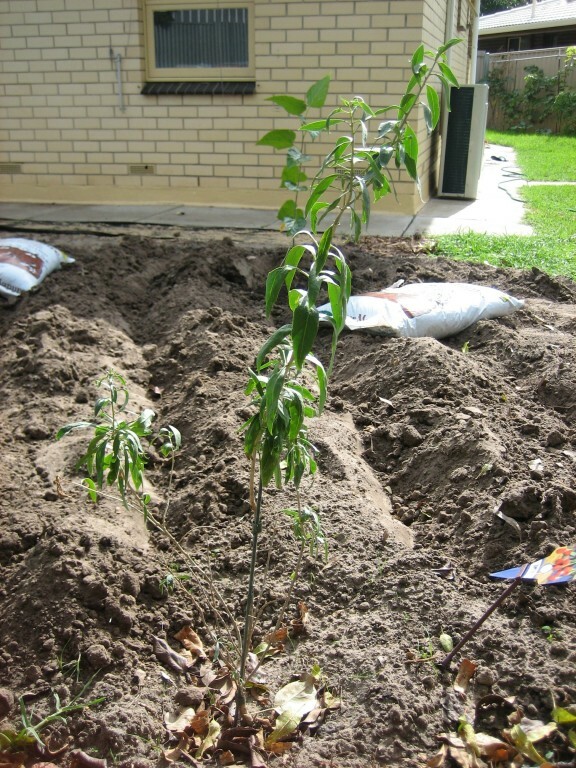 Spring 2011: still straggly but I am hoping for fruit this year. Yummy berriers. Very prolific bearer, specially receptive to organic liquid fertilizer and lotsof water. also, they do not like wind, the leaves fall off very easily, even if you touch them. they grow almost like a vine, but if you cut them back they sprout up thicker shoots, they really are a weird plant. my recommendation is to, keep them in filtered sunlight for about 2-3 years then increase the sunlight until they take medium/full sun. they do seem to enjoy some fertilzation. 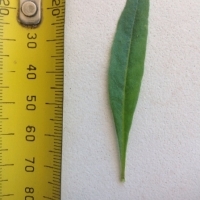 Have not had any problem with bugs eating these, but birds seem to like the taste of the leaves, or they like the twiggy looks of them to make nests. 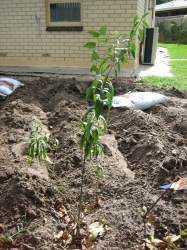 Question: do i need another goji tree to help fruit proction? Mine is flowering too. No, you only need one, you can multiply by cuttings and I was told not to prune because flowers appear at the end of a long branch. Good luck. got any jujube seedlings for sale? I agree with the earlier comment. I didn't prune the bush and this year had plenty of berries. But I am not sure if I like them very much - they leave a slightly bitter aftertaste from the skin. Acquired in early Autumn 2009, it didn't have time to do much before hitting dormancy in Winter. 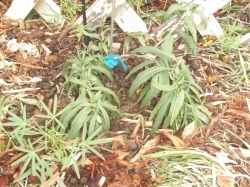 New shoots began appearing at the very end of August and these have grown a little in the fortnight since. Once the days are warmer and the moon is waxing again, I'll plant it out into the orchard bed. No pests affecting it, touchwood! Good source of antioxidants. No fruit yet and bush/vine is growing very sparcely. 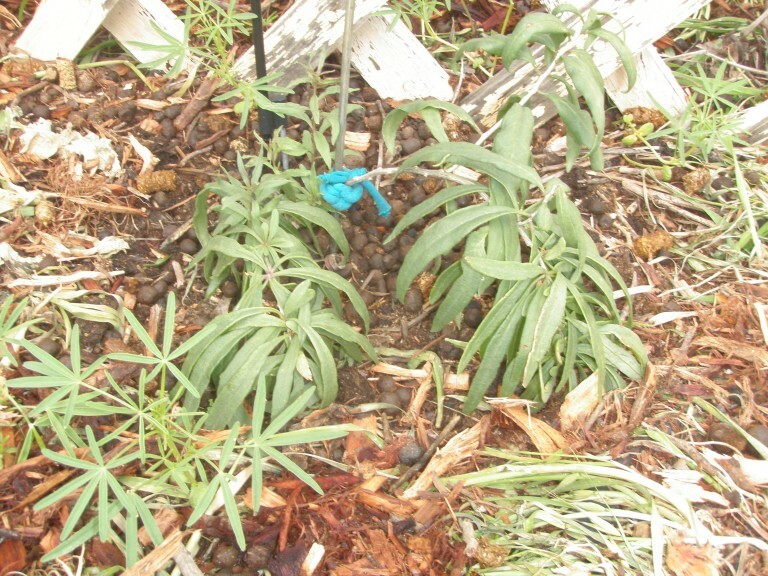 A combination of factors led to the demise of the poor old goji berries...think it was a little bit too wet, then they got out competed by weeds because we didn't have a chance to mulch well...and then the sheep finished them off! Will try again though! I ike the idea of growing my own, rather than paying someone to fly them here all the way from China. Plus we love eating them. Comments: - Powerful antioxident, powerful anti aging and way way to expensive from the shops. Listed as wolfberry - Lycium Pallidum. 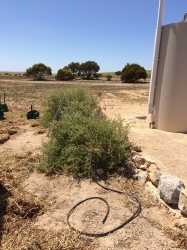 This is really drought tolerant!! 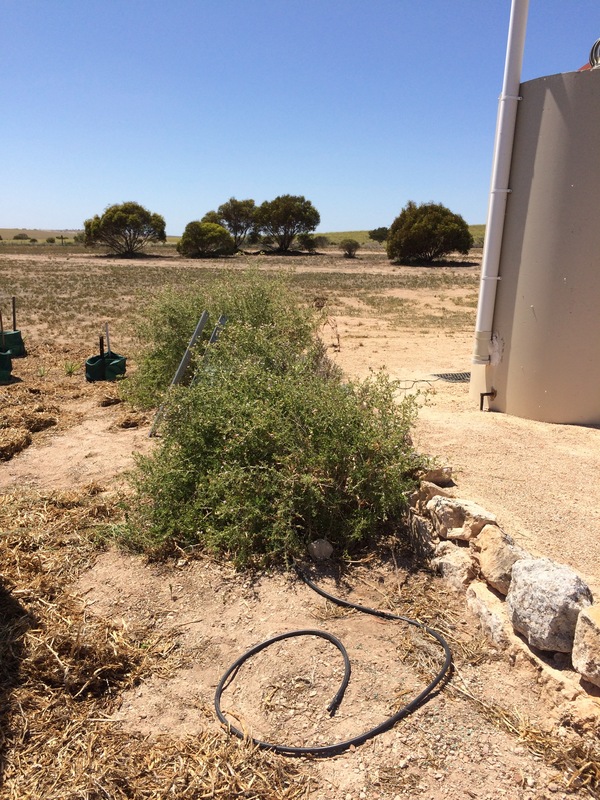 and will grow between 1 to 3 metres in a thorny thicket. It thrives on neglect and can get a bit crazy! It has long sharp thorns on it and creates a haven for lizards to hide under. Beautiful little mauve flowers followed by bright red berries that are sweet and tart. Pest Control: Havent seen anything attack it yet. Really hates full sun as a young plant. Mine is partially protected by a pumpkin plant but it is still severely sunburnt (receives ~4hours sun). Currently in the process of dying, I've moved it to a location where it will received 1-2hours of sun only. I water every second or third day. **I purchased in the middle of summer, usually 30C, some days above 40C). ADDIT: Died. It caught a fungal disease and was quite sick.